88Vape's Mod e-liquids are the perfect product for use with RDAs, drippers and sub-ohm devices. 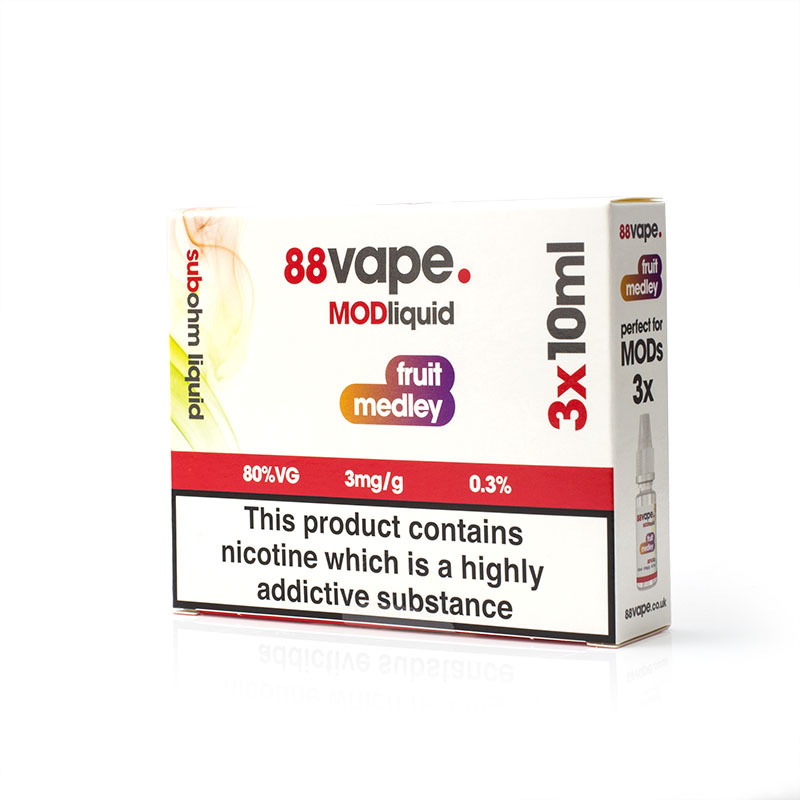 If you're a fruit salad fan, you'll love the 88Vape Mod Liquid Fruit Medley E-Liquid (60ml), which can provide a vaping experience unparalleled in intensity when used with the correct equipment. To last longer, this purchase includes two packs of three 10ml bottles, delivering a total of 60ml of e-liquid. The number 88 may symbolise luck in the Chinese tradition, but it's not luck where 88Vape are concerned. They simply proceed from two key principles: unparalleled pricing and high quality. All their e-juices are UK-made and use 100% organic and natural flavourings. 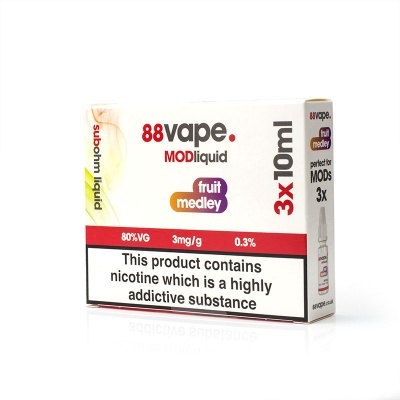 Vape88 Fruit Medley is supplied in two packs of three bottles of 10ml, delivering a total of 60ml of e-liquid.